There is lot of hype building for the upcoming flagships of Samsung while it has just narrower bezels and slightly large display which is nothing so special. 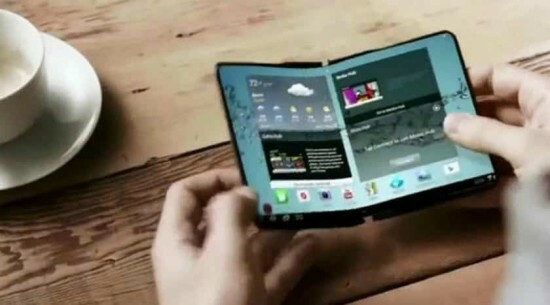 But here, we are talking about something really special which is a foldable phone. According to recent reports, foldable phones will be released later in the year by both LG and Samsung. “Project Valley” and “Galaxy X” are the names of these projects respectively. The report says that Samsung is planning to release a combination of phone and tablet with a pivot in the center that will contain a tablet of 7” size. An external display will also be there for convenience. It is also said that the number of under production units of the device is 100,000 and suppliers can get them in third quarter of year. The report also mentions that a Chinese company is also working on such project and it is the main concern for Samsung for losing the position of maker of “world’s first foldable smartphone”. Such device with same number will be launched by LG in the fourth quarter for clients. For quite some time, both companies are working on the same technology and we are expecting preparation of small number of devices in the current year. In 2018, we are expecting the release of large number of such devices. Previously, there were reports of presence of such product in Barcelona during MWC but it proved false. We will know about reality of this project in near future.